Ok, today is going to complete the tour of random cakes, then tomorrow (or whenever I get around to the next blog post), I’ll unveil the four most jaw-dropping cakes of the show, or at least the ones that were most jaw-dropping in my non-professional opinion. Let’s start with some inspiration cupcakes. These are inspirational because I think if I tried really hard, I could almost create something like this. It’s a shame that I should probably grade papers over Easter break instead of throwing flour from one end of my kitchen to the next to churn up something creative. While we’re on the cherry blossom theme, let’s see cherry blossoms taken to an extreme. 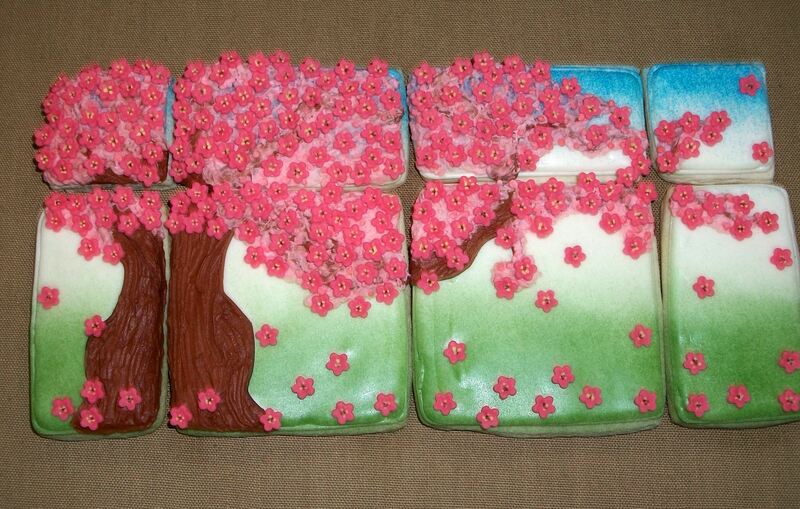 I would have never thought that so many flowers could be placed onto eight little cookies with such amazing artistic results. I also wouldn’t be able to bring myself to eat a cookie like this. I would feel like I was eating a beautiful painting. 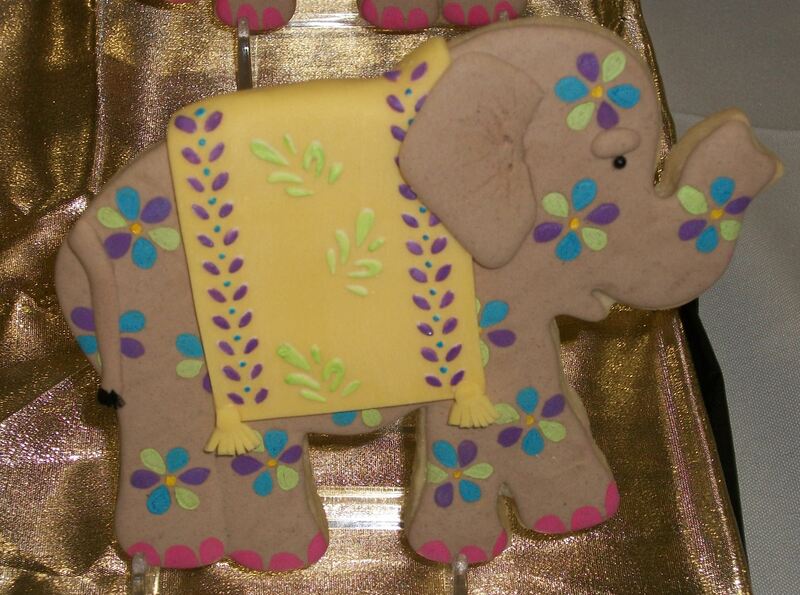 And, while we’re on the topic of cookies, take a look at this cookie. Now, take a look at my monkey cookies. 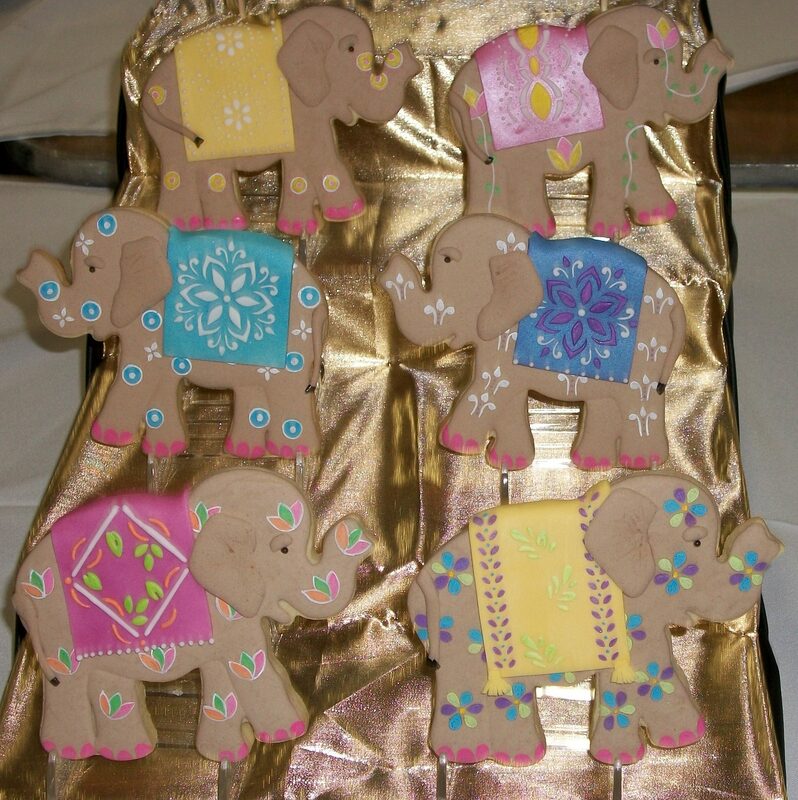 And, then the elephant cookies. Hm…on second thought, maybe no one should look at my monkey cookies. I literally spent several hours making them, and I was a sweating, upset mess when I was done. Yep, I need practice. To lift myself from this depression, I’ll post this exciting cake. 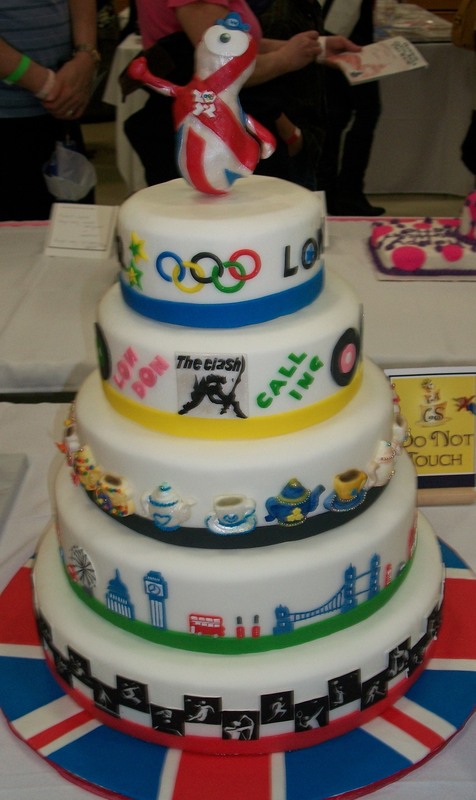 Olympic cake! I need to make sure I plow through my to do list early in the summer, so I can spend the rest of the summer glued to the tv, soaking up all the glorious human interest stories of the Olympics. Clearly, this cake decorator was pretty excited about the Olympics too. 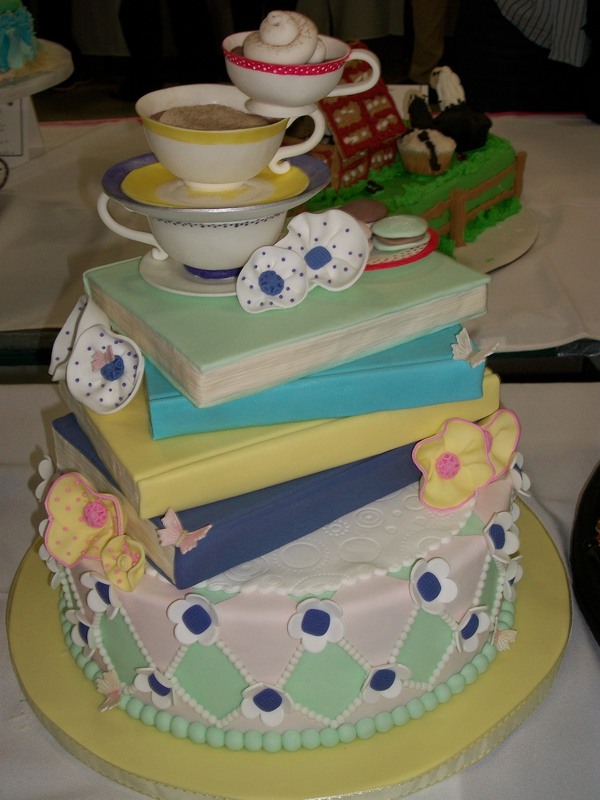 Look how much detail went into each teacup on the cake. Also, removing me from my dismal monkey cookie depression is this cake — inspired by books! 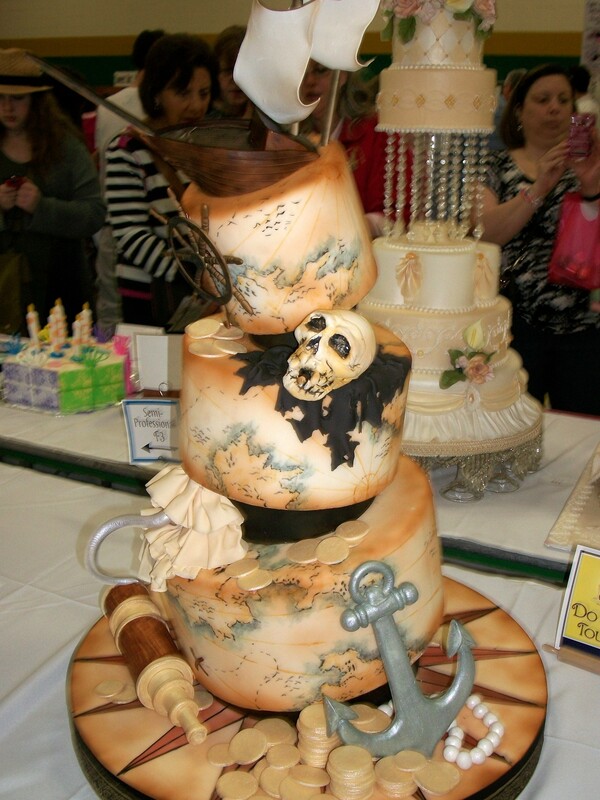 And this pirate cake was too cool to ignore for a photo op. I wish the pictures did it more justice. It even has a hook with a ruffled sleeve.Someone had too much fun designing this cake. 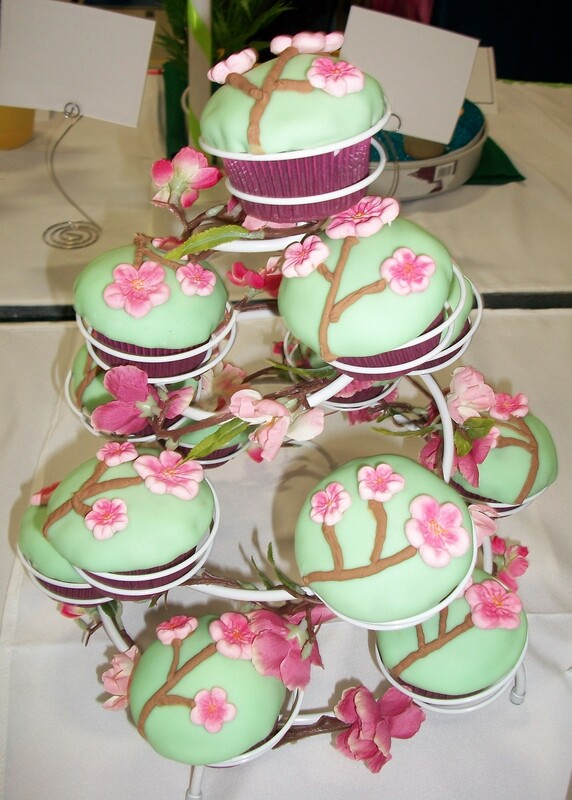 One of the cake show challenges this year was to design a cake using a purse as inspiration. 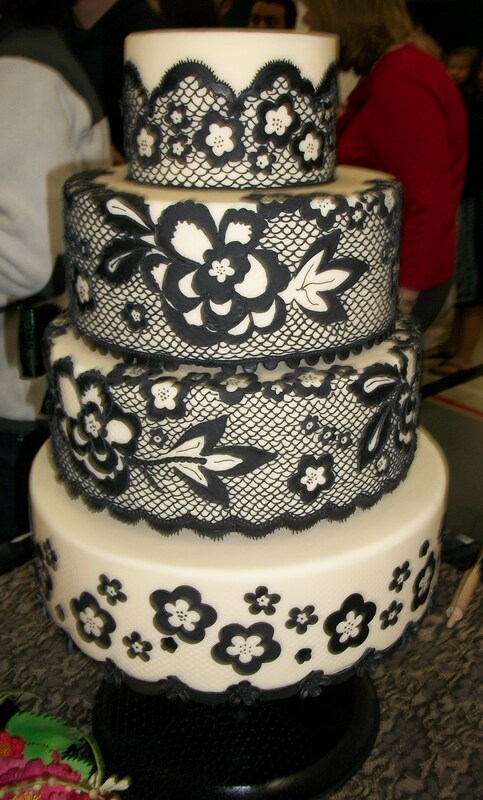 I was a huge fan of this Vera Bradley cake. I would spend several hours in the kitchen if I could have a finished product that chic. And, to whet everyone’s appetite for the final cake show blog installment, I’ll post two cakes with techniques that were quite impressive. 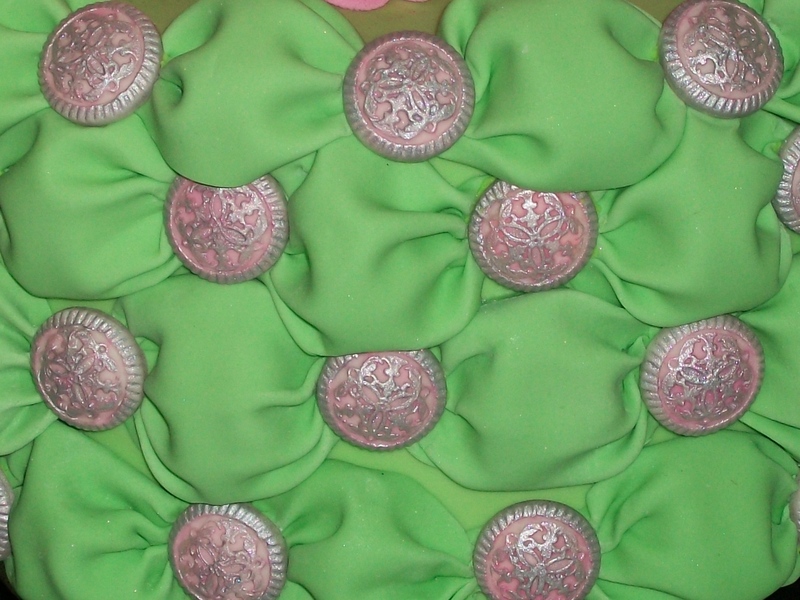 I’ve never seen tufted fondant before, but now that I have, I’d like to attempt it.The buttons were also each made out of fondant. And, I’m finding that I have an affinity for either monochromatic cakes or cakes with simple color contrasts like black and white or black and cream. Naturally, then, this cake caught my eye. This entry was posted in cooking, that's life and tagged cooking, that's life. Bookmark the permalink.